Scott Jeffreys graduated from California Polytechnic State University, San Luis Obispo (SLO) with a Bachelor of Science Degree in Crop Science with concentration in Agronomy (crop production & soil management). 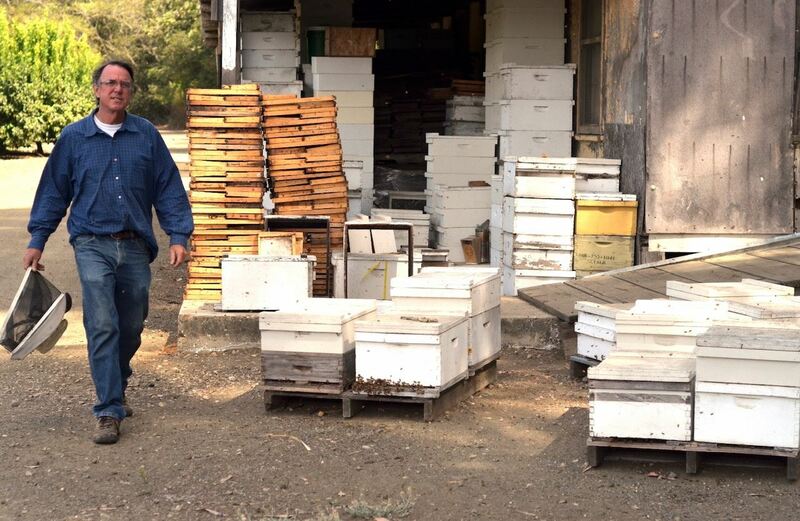 Scott has over 30 years of Commercial Beekeeping experience in which he has mastered both in Hawaii and here in the mainland in all of the different aspects of Beekeeping and business. Monthly Meetings are held on the first Tuesday of the Month, except for July & August, due to OCFair. PRE-ORDER BEE PACKAGES AND QUEENS NOW! Members can now Pre-Order Bee Packages and Queens from our “Store” page. Sign in under your Membership and go to the "Members" tab, click and drop-down to "Store & Ads" tab. 3# Bee Packages are $150 each and Queens are $35 each. Tenative pick up dates are Friday, May 3rd and Saturday morning, May 4th. Dates have changed, two weeks later, Subject to Supplier. New Beekeepers, Please have all of your equipment ready to home your Bee Packages. They cannot live in Package. Need 1-2 volunteers for Discovery Days at OCFair on January 18th, 2019. 9am-12noon, OCFair get 700-1000 children coming through Centennial Farms. 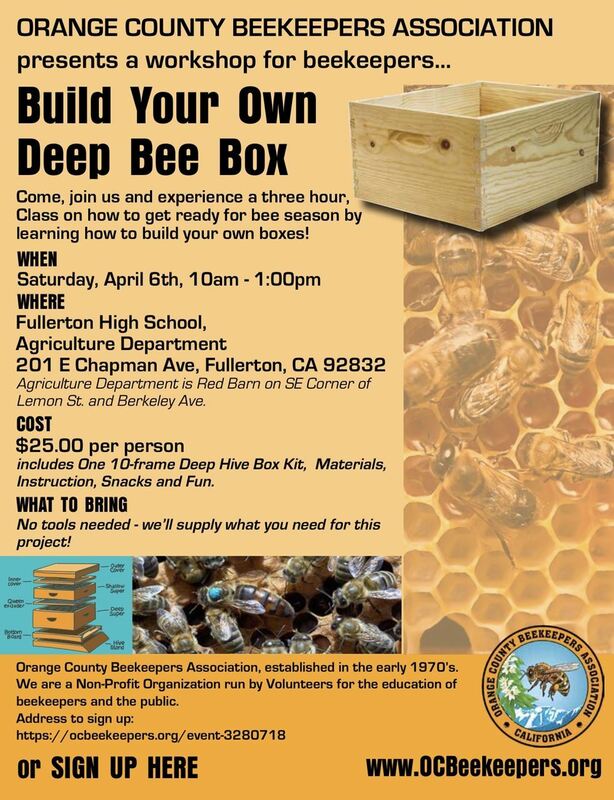 We need a few volunteers to stand by the Bee Hive and talk/answer questions with children. Please email Liz -- Lizsavage@sbcglobal.net or Danny -- danny-bryan@hotmail.com. There will be NO OCBA General Meeting for January due to New Year's Day falling on the first Tuesday of January. Next Meeting will be on Tuesday, February 5th. Doors open at 6:30pm, Meeting at 7pm. General Meeting will be held on Tuesday, November 6th. Doors open at 6:30pm and meeting starts at 7pm. 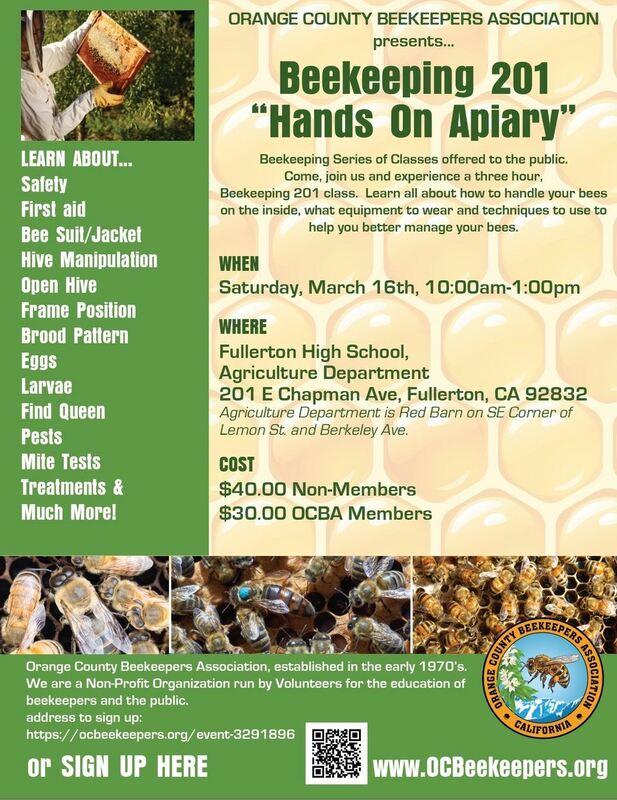 Meeting will consist of Annual Elections, Vote on ByLaws and Guest Speaker, Dr. Melody Wallace on Honey Bee Pests. OCFair Centennial Farm Silo Building, 88 Fair Drive, Costa Mesa. 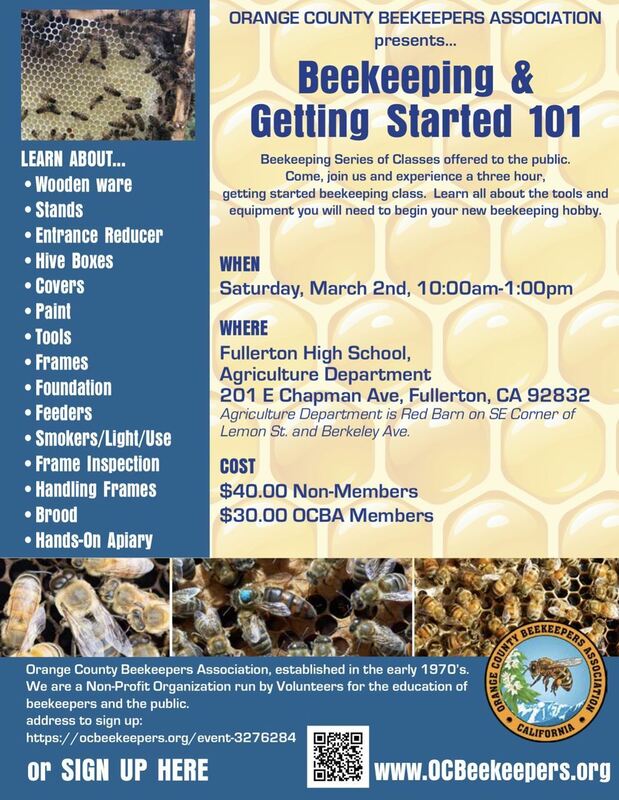 Great class today with a Wonderful Group of People learning about Beekeeping and the OCBA Board Members to help out. We had live bees in the class as well. Keep in touch for the scheduling of the next class. Ever need to know which flowers the Bees like? Ever need to know which flowers the Bees like? Go to any nursery and look for the Bees!! These are a few we bought today. Going back for more!